The life story of Denzel Washington, American actor, born on December 28, 1954 in New York - United States of America. Biography Information of Denzel Washington. Biography Life Story of Denzel Washington. Artist Works from Denzel Washington. Awards and Honors for Denzel Washington. Full real name: Denzel Hayes Washington Jr. Date of Birth: December 28, 1954. Place of Birth: Mount Vernon, New York, United States of America. Working years: 1982 - until now. Children: John David, Katia, Olivia, Malcolm. Denzel Washington was born in 1954 in Mount Vernon, New York in the United States of America. When he was fourteen years old Send with big sister to a private school, and in 1977 the press he studied and graduated from the Faculty (Fordhm), then traveled to San Francisco to attend school theater there, and continued to study for a year, then it began to participate in some of the TV series even produced a film student (debuted) in 1979. Denzel Washington began acting in 1982 in the television series (St. Elsewhere). 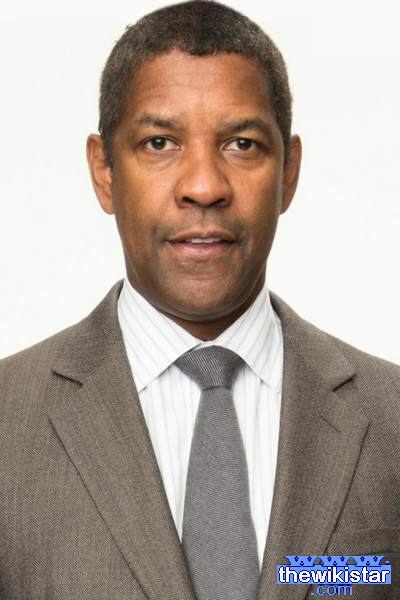 In 1987, in the film (Tears Freedom Richard Attenborough), and this role is affirmed his stardom until he nominated for Best Supporting Actor at the Oscars Festival, two years later Denzel Washington received a Best Supporting Actor at the Oscars Festival Award for his role in the film drama (Glory) 1989 . Most successful films directed by Spike Lee film, especially (Malcolm X), which give him a second chance for the nomination for an Academy Award for Best Actor. But in 1998 he starred in a movie (the blockade) prepared by some of the worst American film offensive to Islam. In 1999, like a movie (Bone Collector), along with Angelina Jolie. Also in 1999 co-starred in the film (the hurricane), which achieved the highest revenue and received many awards from the most important Golden Globe Award and was nominated for new times for an Academy Award for Best Actor. In spite of strong roles iconic in the previous films mentioned, but he won the Oscar for Best Lead Actor in the role of a policeman corrupt Mottagaas in the film (Training Day) in 2001, making it the second black in the history of film to win the Oscar for Best Lead Actor after Sidney Poitier in the sixties. It is now one of the adult actors in Hollywood is as well as from representatives who are serious about their rhetoric, lies and has the talent and harmony in all his roles full of drama, excitement and comedy, and tend to work as the embodiment of true stories. Carbon Copy (1981), License To Kill, A Soldier's Story (1984), The George McKenna Story, Power (1986), Cry Freedom (1987), The Mighty Quinn, For Queen and Country, Glory (1989), Heart Condition, mo 'Better Blues (1990), Ricochet (1991), Mississippi Masala, Malcolm X (1992), Much Ado About Nothing, The Pelican Brief, Philadelphia (1993), Crimson Tide, Virtuosity, Devil in a Blue Dress (1995), Courage Under Fire, The Preacher's Wife (1996), Fallen, He Got Game, The Siege (1998), The Bone Collector, The Hurricane (1999), Remember the Titans, The Loretta Claiborne Story (2Denzel Washington), training (2001) , John Q, Antwone Fisher (2002), Out of Time (2003), Man on Fire, The Manchurian Candidate (2004), Inside Man, Déjà Vu (2006), American Gangster, The Great Debaters (2007), The Taking of Pelham 1 2 3 (2009), The Book of Eli, Unstoppable (2010), Safe House, Flight (2012), 2 Guns (2013), The Equalizer (2014). Anton Fischer (2002), the great communicators (2007). Nominated for an Academy Award several times (1988, 1990, 1993, 2Denzel Washington, 2002). He won an Academy Award in the Best Supporting Actor in 1990 for the film category (Glory). He won an Academy Award in the Best Lead Actor in 2002 for the film category (Training Day). Nominated for Golden Globe Award several times (1988, 1990, 1993, 2Denzel Washington, 2002, 2008). He won the Golden Globe Award in the Best Supporting Actor in 1990 for the film category (Glory). He won the Golden Globe Award in the Best Lead Actor in 2Denzel Washington for the film category (The Hurricane).